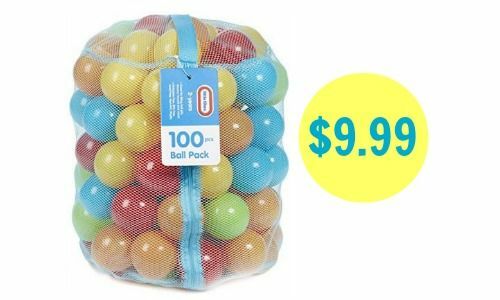 Right now Amazon is offering a great price on Little Tikes ball pit balls! Get the 100-piece set for $9.99 (regularly $19.99) and the 200-piece set for $14.99 (regularly $29.99). If you’re looking for a deal on a ball bit, you can get a Kuuqa Kids hexagon pit for $13.99. Shipping is FREE with Prime or with orders of $49 or more. If you don’t have a Prime account, now would be a good time to try a 30-day FREE trial.